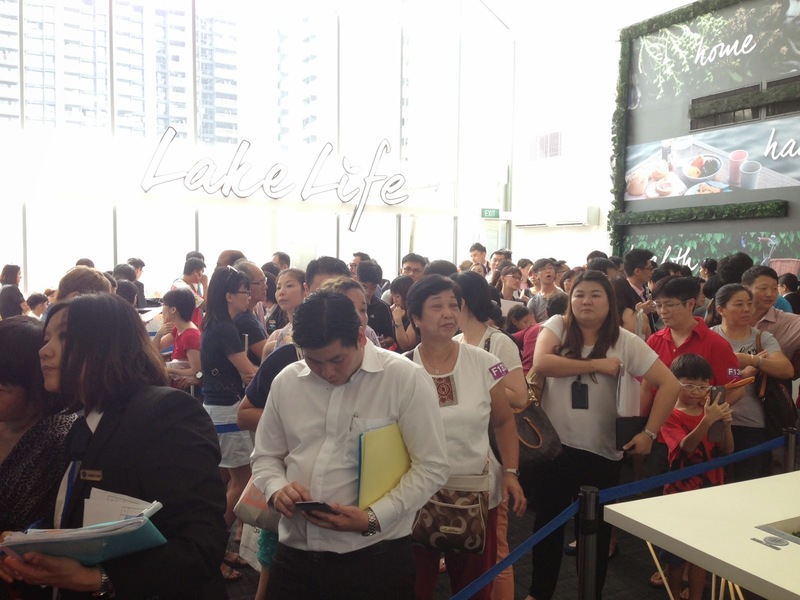 Breaking news: Lake Life EC 95% sold on first day of booking! The first executive condominium (EC) project in Jurong in 17 years opened for booking on Saturday (Nov 8), and it has already sold 95% of its units - 521 units. This makes Lake Life EC the project that sold the most number of units on the first day of sales since June last year. Sales of the project crossed the 50% mark by noon. By 4pm, 446 units were snapped up. Its developer said the "overwhelming response" is likely due to the project's location - at Jurong Lake District, and recent announcements by the government to further develop the Jurong area. Two buyers Channel NewsAsia spoke with are HDB dwellers living in the vicinity. They said in addition to location, price was also a key consideration. Prices of the 546-unit development average $857psf, lower than the earlier indicative prices of $880 to $890 psf, with a two-bedroom unit going for $685,000 on average. The next EC in Jurong will be launched after the first quarter of next year. It is located at Westwood Avenue, near Nanyang Technological University. No Comment to " Breaking news: Lake Life EC 95% sold on first day of booking! "